Today was organization day for my cupboards. I try to keep my kitchen as clean as I can and bleach multiples times a day. However, my pantry cupboards go through phases. I will be great about keeping them clean during the summer in order that I have room for fruits and veggies that I have canned. By winter they have turned into chaos. One of the reasons always seems to be that when I come home from the grocery store I am so tired of dealing with lines, coupons you name it that I just don't have the effort to organize everything before putting it away. So everything gets stuffed into the cupboard and I have to search to find what I need when I'm cooking. Today I spent three hours cleaning and organizing everything in my pantry. I discovered that I had a number of ingredients that I had forgotten that I purchased which will be great to go into next weeks menu plan. This week I have been making a number of dishes using items from the freezer which I cleaned out last week. Earlier in the week I tried a new recipe for Slow Cooker BBQ Pulled Chicken from the October 2012 issue of Family Circle magazine. This recipe has 12 ingredients. It takes 5 minutes of prep, 6 hours of cooking on high and makes 12 servings. Since I eat gluten free I did make a number of changes. First instead of serving the pulled chicken in buns as a sandwich I served it over brown rice. I have tried a number of gluten free bun brands and they have failed to impress me, I would rather just eat my meals over rice or quinoa. Instead of using brown sugar I used local grown honey. For sweetening I prefer using honey since it is natural and using local honey is supposed to help with allergies (whether it actually does I don't know, but it is worth a shot). Instead of using boneless skinless thighs, I used bone-in thighs which I took the skin off of and removed the bones before pulling the chicken. I prefer keeping the bone in thighs since it gives the finished meat a better flavor. I followed the remainder of the recipe as written. My two kids ate their servings on hamburger buns and loved it. I liked that it worked well over brown rice, which turned out to be a nice gluten free option. My husband thought that the meat became a little dry after sitting in the fridge, so it is best enjoyed the same night or make sure to add additional liquid when re-heating. The dryness could also be avoided by using all thighs instead of breasts and thighs since breast meat is much lower in fat and doesn't have as much moisture. I've had pulled pork, but never pulled chicken. Sounds yummy! I actually like pulled chicken more if it is prepared right. It is a little less greasy and yummy! Wow that looks incredible, thanks again for following my blog, I am now following you back. Pulled chicken sounds delicious! I usually only have pulled pork. 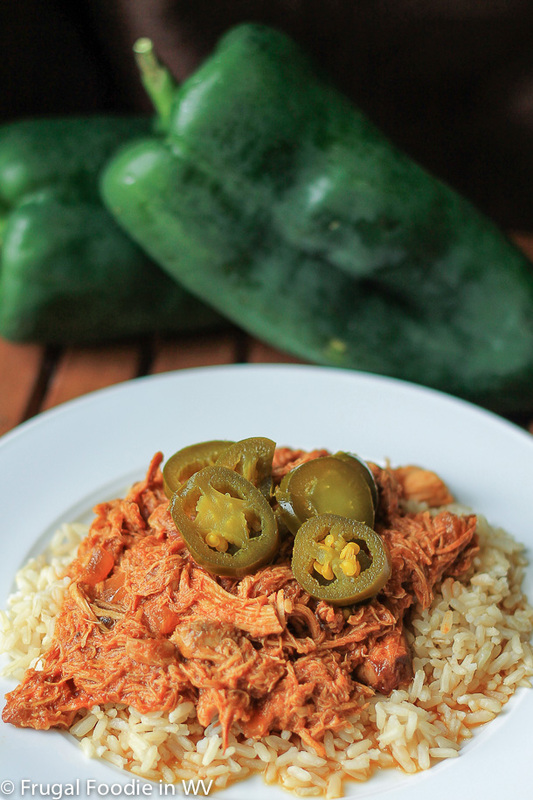 Pulled chicken really is yummy and lower in fat when made with breasts. I LOVE pulled chicken and pulled pork! This looks so yummy! Are you going to be doing any recipes for Chinese New Year? I am looking for a good fried rice or something similar for Sunday. I have in the past, but not this year :) It's my husband's birthday this week so we are celebrating that. Thanks for stopping by and following back! blog and wished to say that I've really loved browsing your blog posts. After all I will be subscribing on your feed and I am hoping you write again very soon!